For all the Manny Pacquiao fans and boxing enthusiasts, you can watch the Manny Pacquaio - Joshua Clottey boxing match at the park area in front of the Marikina City Hall today. A large screen will be situated in front for spectators to watch at the shady park for everyone to be accommodated. Definitely there will be cheering going on at the park during the fight and even more crowd cheering and celebration should Manny Pacquiao win this fight. We hope Pacquiao once again give glory and honor to the Filipinos. 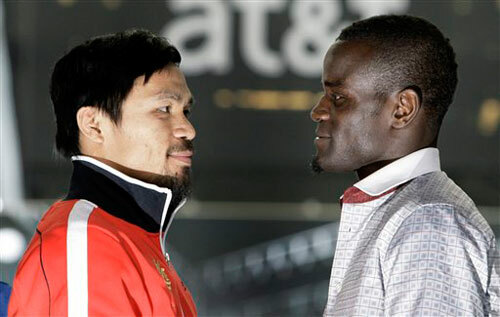 Goodluck to you Manny !